Grief is heavy, and ever-abiding. But we have our choice on how to approach it. We can live under it, we can stumble over it, or we can live on top of it. The one thing you can never do is totally eradicate it. If you’re one of those who has a clearly painted vision for your life, but few artistic tools to get there, hang tight; I have something for you. If you just want to read some lurid confessions made by a frantic soul, who knows? I may have something for you as well. In the Bible, John’s telling of the coming of Jesus gives us a refreshing narrative. Gone is the telling of stars and mangers and shepherds, and in its place, a powerful word picture that wonderfully summarizes what it is to understand the nativity of Jesus. File this under lessons learned. Don’t mention Christmas songs you don’t like on social media unless you want to make some people very angry. That sounds quite silly, because, really? Who gets angry because someone doesn’t like a song even if it’s your very favorite ever in the whole wide world? As I grow older, each approaching birthday makes me more contemplative and pragmatic. Staring down the barrel of my mid-50s, I think about my family history. I’ve either out-lived my timeline, or perhaps have a few more decades to go. That’s pretty sobering, but it’s also motivating. Preparing for a new life adventure, and a new slant on this calling to follow Jesus that I’ve accepted, has also impacted my thinking. I’m convinced that God has given each of us unique areas of His Kingdom to tend to. It fits in with the pattern of understanding the different callings Paul teaches in Ephesians 4. With that being said, I’m also becoming more firmly convinced that believers tend to be dismissive of all the unique ways that Jesus can come alive in us. Though I have no statistical information to back this up, experience is showing me that believers tend to banish many aspects of Jesus in order to embrace only a few characteristics. How Long Should Someone Grieve? Grief is a lifetime reality when you’ve lost someone you love. I often describe grief as a box that now sits in the spaces where you live. You can decide to live with it and around it, and even on top of it at times, or you can live under it. You can learn how to make it a part of the useful furnishings of your life, or you can let it overwhelm you, becoming a stumbling block whenever you try to move. I Was the Best Pastor. Ever. Not long ago I wrote a blog entry entitled, “I Was The Worst Pastor. Ever.” It was a bit tongue-in-cheek, but dealt with some serious reflections I have as I prepare to leave pastoral ministry for a new ministry pursuit. A blog with a title such as today’s entry is clearly audacious. I’ll probably receive more scorn making this claim then I did when I owned the “worst ever” label. But I realized one good extreme deserves another, and I think if you hear me out, you may eventually find yourself agreeing. I was the best pastor. Ever. I’ve always wanted to be perfect. It seemed like a really cool thing to be. I’ve known a lot of people who’ve seemed nearly perfect, so maybe being perfect might be a thing that could be attained. I’ve heard people describe loved ones as being perfect; parents, grandparents, even spouses have rung that bell. Could it be that perfection can, indeed, be reached here on mortal soil? 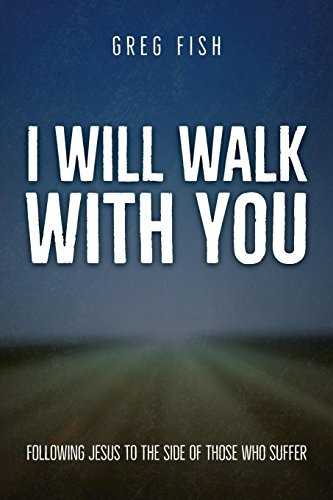 The date for the release of my book, “I Will Walk With You,” is just weeks away now, and I confess to a childlike excitement. Though it is finally about to be reality, and will lead the way to more in the future, this day has been long in the making. I Was the Worst Pastor. Ever. I’ve come to accept the fact that I may have been the worst pastor. Ever. How Can I Know Where God Is Leading Me? As I prepare to transition from life as a lead pastor at a growing church into the unknown of following where God is leading me as an author, speaker and online communicator, I’ve heard the questions and seen the quizzical looks. That is, people wonder just how I know that this is God’s direction for my life? How can I be certain I’m doing the right thing? Years ago, I made one of the more difficult transitions of my life. I enjoyed so many things about my life in radio. I enjoyed being the program director at a highly successful station. I enjoyed being on air in the afternoons. And, I particularly enjoyed having the contacts I needed in Nashville to facilitate my transition from radio to professional songwriting. But that didn't end up being the transition I made.